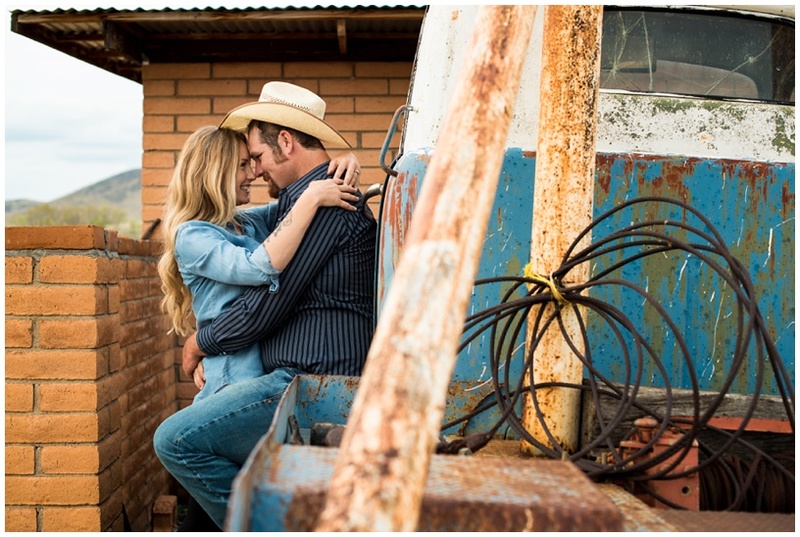 I made the drive down to Sonoita for Kody + Dustin's country ranch engagement session at his family ranch...guys it was epic. As soon as I was on the outskirts of the city I knew I was in for an awesome session :) I followed them out to his parent's ranch and as we pulled through the gates my eyes were going in a million directions, I didn't even know where to start! There were so many amazing options! It was the perfect mix of country rustic and desert mountains...a dream location <3 To top it all off this is where their wedding is going to be held!!! 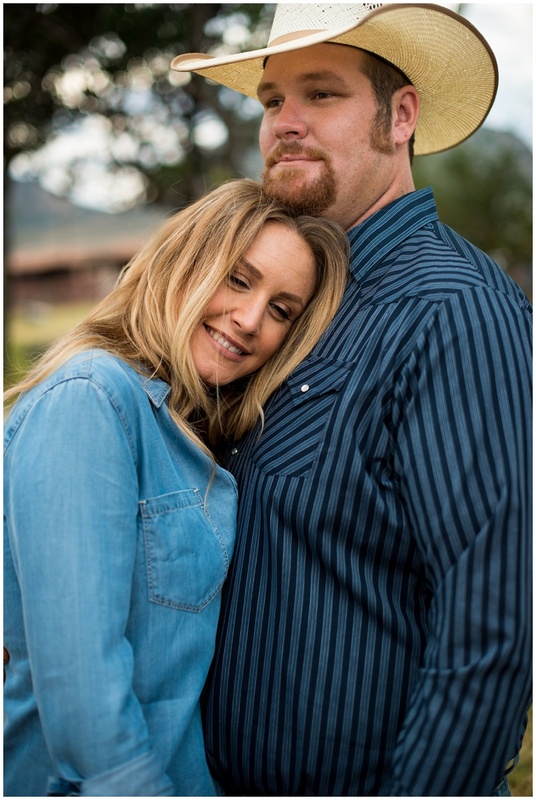 I did a little happy dance when I found that out :) These two were complete naturals for their country ranch engagement session! We had some nice clouds the entire session and it didn't look like we were going to get any sunset...but then a little color came through and it was magical <3 I loved that they were up for anything and let me try out some new lighting techniques and I'm so happy with how everything came out. Enjoy some of my favorites!